QNX is a powerful real-time operating system. You may have used QNX and not even known it. QNX is used in industrial, network, telecommunications, medical, and automotive devices. A while back QNX made available two 1.44 meg bootable demo disks. Each disk boots and loads completely from a 1.44 meg floppy disk. No hard disk is required! Each disk contains the OS, GUI, PPP or networking, Web browser, file browser, and several demo applications. Hardware / RS232 modem (not a winmodem) or NE1000/2000, DEC 21x4x, or 3com 509 based network card. VGA or Vesa 2.0 compatible card. There are two demo disks, a network version that uses a network interface card attached to a network, and a modem version that uses PPP to an internet service provider. Please note that the network version only supports a couple of old network cards and will therefore not work in more recent computers, or most virtualizers/emulators. (Sadly there is no minimum standard for network interface card compatibility, as a result every model of NIC requires a unique driver). It also dosn't like most newer DHCP servers. 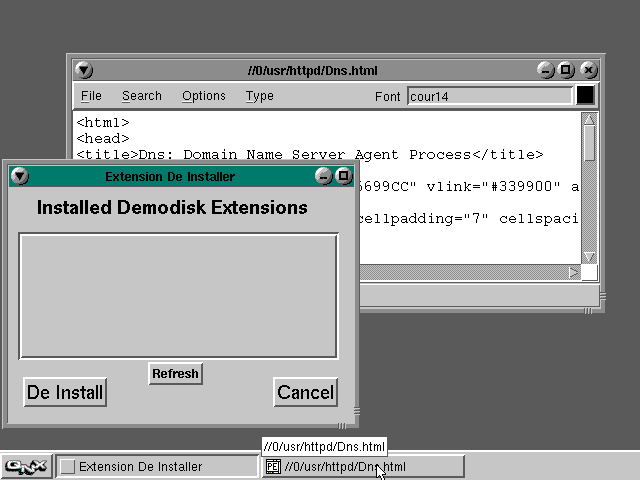 Additionally the modem version does not recognize the lobotomized "winmodems" found in most pentium era computers. (winmodems lack the hardware processors that older real modems have and therefore require proprietary software from the manufacturer to emulate this hardware). 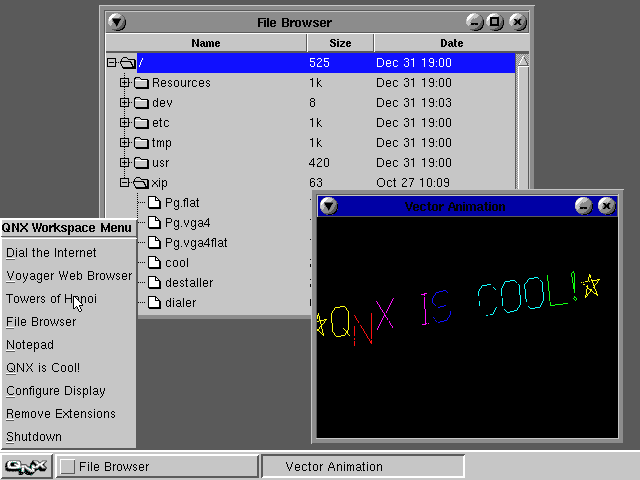 The QNX demo disk also includes a minimal workspace menu and taskbar. The file browser lets you look at the files loaded in the ramdisk, although it does not do much else. The "QNX Is Cool!" demo spins the text "QNX IS COOL!" in a window. You can open up multiple instances of this and they will continue to run smoothly. 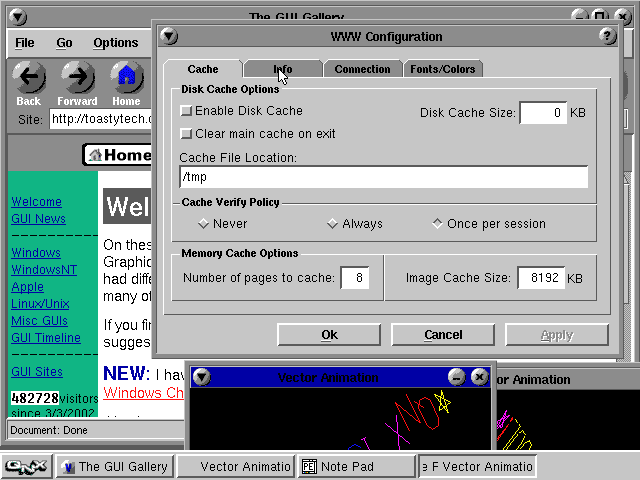 Here is an example of typical user interface controls used by the system. This is the display configuration utility. 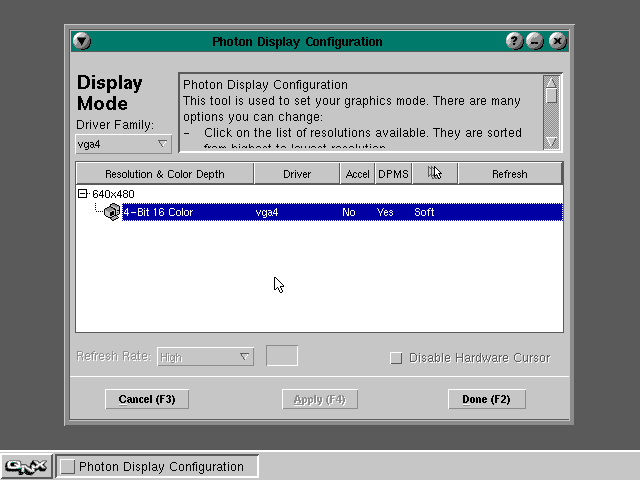 On video cards with VESA 2.0 standard support you can set the Photon GUI to run in higher resolutions and color depths such as 1024*768 in 24 bit color. (Some cheaper cards cut corners and do not support this standard). 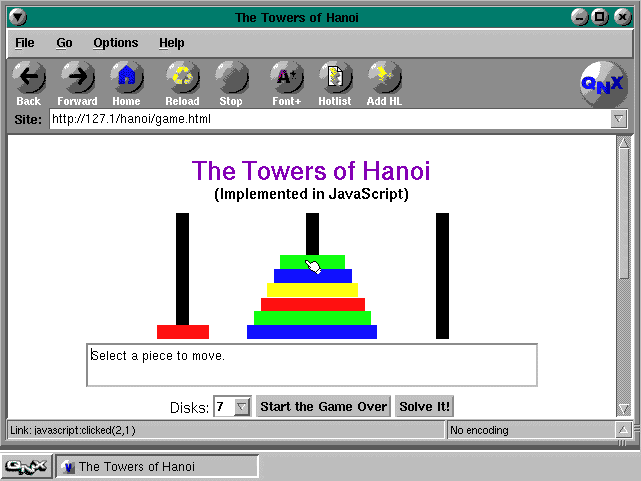 These screen shots were taken using BOCHS in basic VGA mode, so some of the graphics do not look as nice as they should. 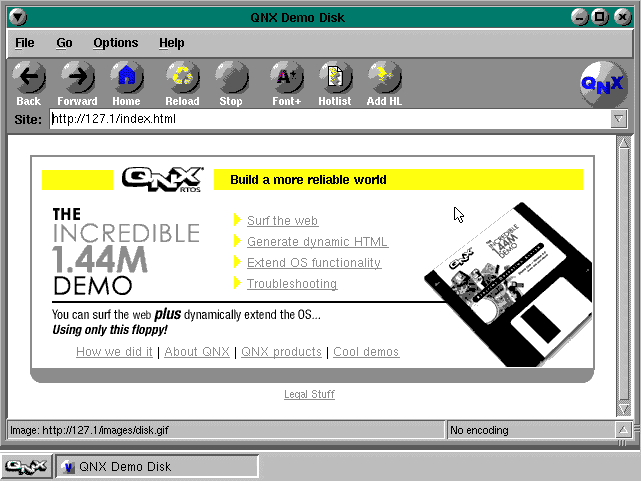 You can (or could) install extensions to the demo disk from the QNX web site. No data is saved back to the demo disk so such extensions would need to be loaded each time QNX started. Also shown here is the included Notepad application. Likewise anything edited in notepad will not be saved to the demodisk, just to the ramdisk. 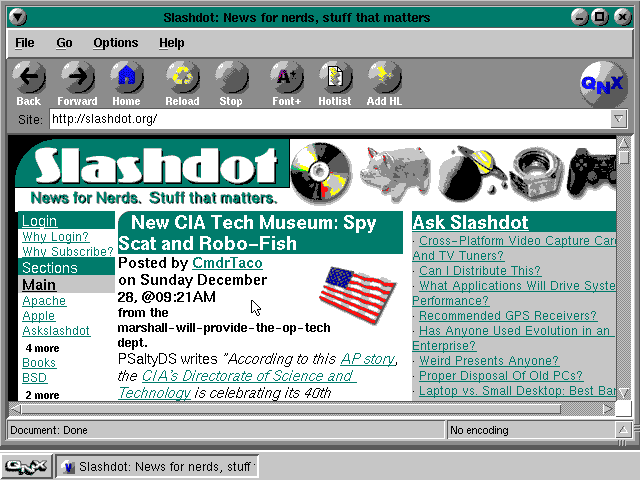 And finally of course, the obligatory screen shot of yet another browser viewing slashdot.